This hotel is a scam do not book.Very scary experience. 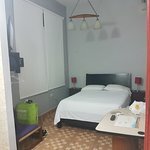 We arrived to be told that our room we booked was not available and that we were being moved to another property nearby, but first they wanted the full money. 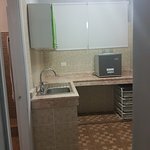 Luckily i demanded to see the new room first which turned out to be a grannies spare room for which they wanted 83 CUC, about 4 times the going rate in Cuba. When we protested we were told to go elsewhere, as the owners knew it was late, we were tired and we had big bags. 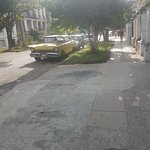 This is a common scam in Cuba and the police has been informed, do not deal with these scammers. Room tip: Do not rely on this hotel at all, they prey on travellers vulnerability. its a scam. 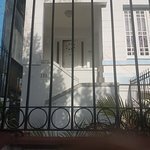 We needed a casa for our last night that was on the airport side of Havana. Online we found Ada Colonial House and indeed booked it. The building is almost totally original and has lots of potential. We were greeted by Maria, the day manager, who was very sweet. Juanita, her helper, made two taxi reservations for us.One to go to dinner at some friends home and the other for the morning to the airport. The taxis were on time and very helpful. There were two rooms at the top of a long staircase. The smaller one had a bathroom shoehorned in and the larger room used a bathroom on the ground floor. We picked the one with a bathroom and it was adequate for our needs. The biggest problem was that the air conditioner was way too noisy to use while sleeping, so we tried opening the window for a while and then using the air conditioner alternatively with marginal success. Maria had breakfast ready for us at 6:30am and our taxi was on the dot at 7:00. We booked this due to not being able to get into our hotel in Varadero till the next day. Before we arrived Ada had emailed to see if we'd like her to sort a taxi, we agreed and the service was smooth even with our flight being delayed. We arrived and checked in to our room just like a b&b at home. Rooms was lovely and clean and our bathroom was also. Only draw back for me is I go to the loo a lot in the night and our room meant our bathroom was downstairs so I kept waking the hubby up but that's my issue not the Ada's. Breakfast was lovely and plenty. They are so helpful and friendly that we wished on our return to Havana they had space for us to stay again. If we were returning to Havana or recommending anyone a place to stay this would be our first place to stay.